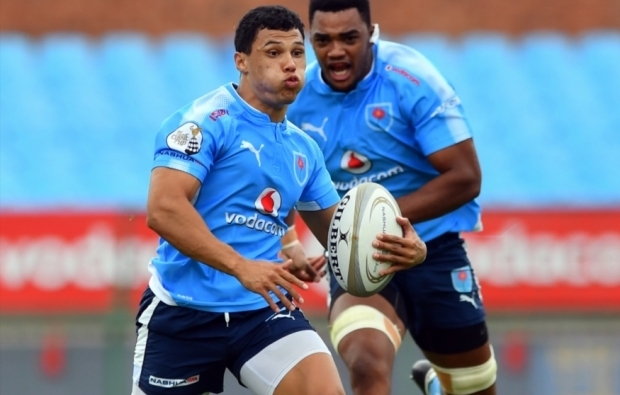 Blue Bulls coach Pote Human is delighted to have Bok scrumhalf Embrose Papier back in his squad ahead of the clash with Western Province on Saturday. DYLAN JACK reports. 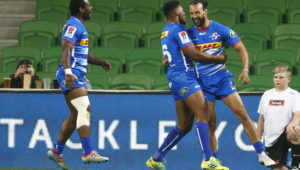 The 21-year-old has missed the bulk of the Currie Cup season while on Springbok duty, but only received a total of 13 minutes off the bench in the Rugby Championship. Nevertheless, Human says he can see a rising maturity in the youngster, who will be looking to make his mark in the remaining matches of the domestic season. 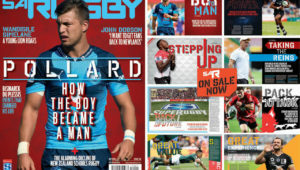 ‘I have definitely seen an improvement in Embrose,’ Human told SARugbymag.co.za. ‘He is more open-minded now and he is starting to take a bit of a leadership role with this team. It is awesome to have him back and to see how he has developed. The Bulls have also been boosted by the return of other Springboks such as Ivan van Zyl, Marco van Staden and Trevor Nyakane. ‘They arrived here on Monday and brought a new energy to the guys as well as a new focus,’ Human commented. ‘It has been good for the group. ‘I am going to use all four of them. They have not played a lot of rugby with the Boks. With Embrose and Ivan, I will make a call tomorrow [Thursday] morning over who starts, but they will be the two scrumhalves [to face Western Province]. Human said he was certainly looking forward to having Van Staden back for Saturday’s clash against the Currie Cup frontrunners. ‘It has been a huge boost for us [to get Marco back]. He is a good opensider so it is awesome to have him back. We have to try and slow down their ball as well as not give away any turnover ball. They are awesome on the turnover.